The third annual Gravel & Grape MTB event is taking place from 5-7 May 2017. The event features two rides, the Gravel & Grape Extreme and the Gravel & Grape Adventure. There’s a change coming to local mountain biking, and smaller stage race events like the Gravel & Grape MTB are aiming to be at the forefront of the new direction. 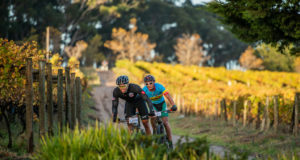 While the time of year (May), clover-leaf format and close proximity to major centres like Cape Town, Durbanville and Stellenbosch make this three-day event an enticing race option, what really sets Gravel & Grape apart is the route, and the route-building philosophy of the organisers. 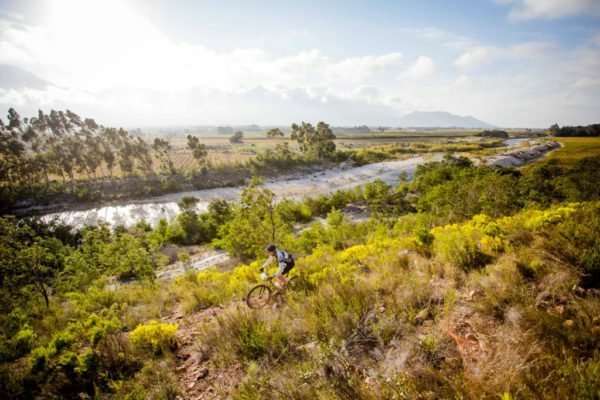 Set in the stunning Breedekloof Wine Valley, the Gravel & Grape aims to maximise the rugged terrain of the area and provide riders with an experience that harks back to a less manicured time. If you like riding, that is, actually picking the smoothest lines, tackling rock gardens, negotiating scrappy descents and winding through swooping single track, then the Gravel & Grape is the perfect ride. It’s a test of technical ability, but also with a warm welcome from the region’s people. In a way, the ride pairs perfectly with the region’s pioneering and acclaimed Chenin Blanc initiative. Four years ago Attie Louw from Opstal Winery and a few other winemakers came up with the plan to craft small, boutique productions of chenin blanc in limited volumes. The result is the Breedekloof Makers, a band of like-minded winemakers committed to emphasising the quality of wines being made in the region. The resulting chenin wines are nothing short of phenomenal. By involving a number of wine farms into the race, each day offers something different, from the highest peaks to the lowest valley floors. As it is for the chenin grapes, so it will be for the Gravel & Grape riders – on the lower regions of valley the soil is sandy with gigantic river pebbles, while higher up you find broken rock and sandstone. To get you through it all will be expertly carved trail. 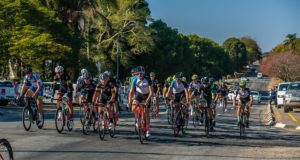 “Make no mistake, this is an event that will test you, but will also provide warm hospitality and the opportunity to indulge in our award-winning wines after each day’s riding,” says Carsten. The overriding philosophy of the ride is to take mountain biking back to its roots, away from hyper-slick trails and flamboyant frills that distract from the real reason for riding – the technical challenge and happy outcome after successfully negotiating tricky trail. On a recent route recce, lucky riders experienced in a short 20km section: sandy trail, rock gardens, berms, cross-country climbing, bridges, forest riding, gentle climbs, steep climbs and breathtaking scenery. For a region that boasts the country’s youngest wine route, there’s no better way to explore it than by bike. After riding you can also enjoy the hot springs of Goudini Spa or any of 17 wineries from the Rawsonville, Slanghoek, Goudini and Breede River areas. This is one event that will certainly wine you over.